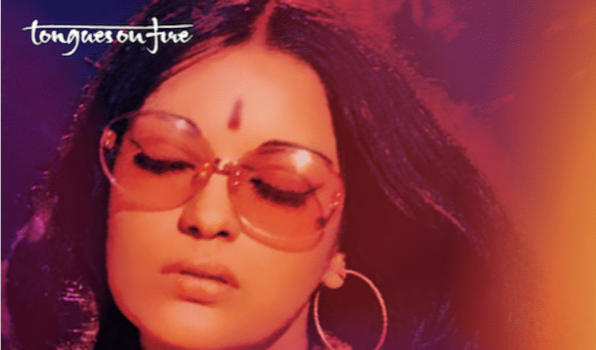 The world’s longest running South Asian film festival outside of India, UK Asian Film Festival, has announced its full programme for 2019 and will be welcoming one of the most revolutionary actresses in the history of Indian cinema, Zeenat Aman, to the Opening Gala on Wednesday 27th March, The May Fair Hotel, London. The Opening Gala will feature the game-changing actress, beauty queen and reigning star of the 1970s and 1980s, sharing her extraordinary journey in Indian cinema onstage. Aman redefined the archetypal heroine in Indian cinema in an era when they played secondary characters, largely obedient wives and lovers that elevated and served to affirm the male lead onscreen. Drawn to more unconventional roles, she was credited with making a lasting impact on the image of leading actresses by introducing a bold and modern look to Hindi cinema. From the disenchanted, pot-smoking hippie in Hare Rama Hare Krishna and the opportunist who leaves her unemployed lover for a millionaire in Roti, Kapda Aur Makaan to the girl who falls in love with her mother’s one-time lover in Prem Shastra, the disfigured temple singer yearning for love in Satyam Shivam Sundaram and a woman married to a caustic cripple but involved in an extramarital relationship in Dhund, Aman was an inspiration for so many other heroines, forging her own identity by championing distinguished roles. Equally, her conventional films like Chori Mera Kaam, Dostana, Lawaaris and Qurbani are considered to be landmarks in Indian cinema. At a time of significant change, UK Asian Film Festival marks its 21st anniversary with a curation inspired by the theme of Revolution. Historically known as Tongues on Fire and then London Asian Film Festival, the festival is also synonymous with championing South Asian feminist films and supporting pioneering, female artists and auteurs. Additional guests attending UK Asian Film Festival 2019 will be veteran actress Shabana Azmi, who will be presenting the World Premiere of the documentary film Kaifinama on Sunday 7thApril, BAFTA 195, London and on Friday 12th April, Glasgow Film Theatre. The film looks at the life and art of Azmi’s father, progressive, Urdu poet, Kaifi Azmi, celebrating his birth centenary. Shabana Azmi will also be conducting an Actor’s Masterclass on Saturday 6th April, Phoenix Cinema, Leicester. The Closing Flame Awards Gala on Sunday 7th April, BAFTA 195, London will feature an In Conversation with Ramesh Sippy, veteran director and producer, whose film credits include one of Indian cinema’s most iconic films of all time, Sholay. This will be followed by the presentation of the UK Asian Film Festival Awards. One of the most celebrated masterpieces of Indian cinema, Pakeezah, will be screened on Monday 1s tApril,The British Library followed by a Q&A with Tajdar Kamal Amrohi, director, producer, writer and son of the late, legendary Pakeezah filmmaker, Kamal Amrohi.